Here we discuss about the importance of air emission protection under importation of goods from overseas. 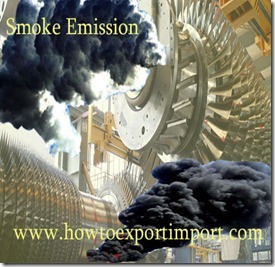 Why Air emission protection when importing? Air emission can create acidic compounds which can cause harm to vegetation and buildings. Pollutants such as sulfuric acid combines with the water droplets that make up clouds, the water droplets become acidic, forming acid rain,which results harmful to trees and animals, fish, and other wildlife. Chemical reactions involving air pollutants create poisonous gas ozone (O3). Gas Ozone can affect people’s health and can damage vegetation types and some animal life too. Pollutant gas SO2 comes from fuel combustion; electric utilities and industrial processes as well as natural occurrences like volcanoes which affect the human life. Emission of greenhouse gasses such as co2, ch4 etc. leads to global warming effect. Due in part to the warming effects of the greenhouse gases, the global average temperature is about 15°C (59°F). Without the greenhouse gases the global average temperature would be much colder, about -18°C (0°F). Rising temperature also means melting glaciers and rising sea level through addition of melt water to the oceans. Sea level rose about 1 foot during the last century, mostly from thermal expansion of the oceans. Sea level is expected to rise closer to 3 feet during the coming century. Rising sea level will cause increasing coastal erosion, flooding, and property damage during coastal storms on top of the potential for major loss of life from storms in low-lying coastal countries. Emission of pollutant gasses leads to natural calamities, Higher heat and expansion of tropical areas may lead to increased incidence of malaria, natural ecosystems will be hard pressed to keep up with the changing climate because the rate of change will be faster than typical long-term natural climate change. Many species, especially plant species, will not be able to migrate to cooler areas fast enough to keep up with the warming of their habitats. I hope, the above information about the role of emission adversely effects human, animal, and other living organism in turn environment. If you would like to add more information about this subject about emission standard under import of goods, you may feel free to write below. 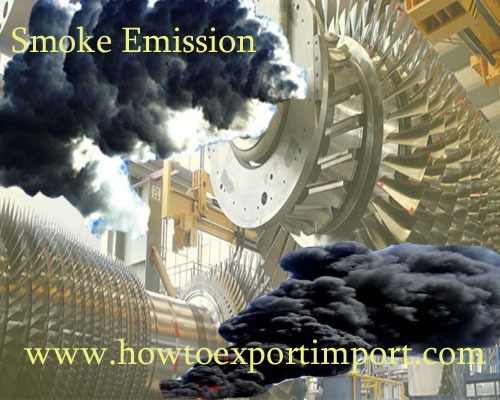 Share your thoughts about emission standard in import process of goods. AHM ISLAM : On 16 February 2015 Now, I have been working on Russian petroleum products (Jet fuel). This will be my first time purchase/re-sell project through my own company. I have my own End-Buyer & my own JV partner who will finance my transaction. I am also working to get a reliable supplier out of Russia & negotiating with some. Basically, I am doing Back to back transaction. In terms of basic selling & buying procedure, I am fine.But, what I need is a professional hand/advisor like you who can actually advise from beginning to end of each of my transaction. I am happy to carry all the cost of your service once the transaction starts.